With the increased spread in cybercrime attacks, malware continues to be a constant weapon in today’s IT world. Malware is basically developed to cause harm to a website or computer. Here we focus on website malware used for stealing sensitive customer information, holding websites for ransom, or even taking control of the website itself. In several cases, victims of malware may not even realize that they have been attacked until it’s too late. One very important troubleshooting measure is to correctly and completely scan your computer for viruses and several other malware types like rootkits, spyware, Trojan horses, worms, adware, etc. This is where malware scanning plays a very important role. Automatic website scanning performed on a daily basis not only saves you time but also allows you to get ahead of any infections, which indeed can reduce the negative impact of malware on your website and its visitors. Web-based malware scanners are generally designed to automatically scan for known malware types including shell scripts, backdoor files, and spam. If the website scanner detects malware, the website owner will get an instant alert and some solutions even offer automatic removal of malware. Thus, it is essential for you to understand that all the preventative measures against malware are only as good as their potential to keep up with new malware trends and types. 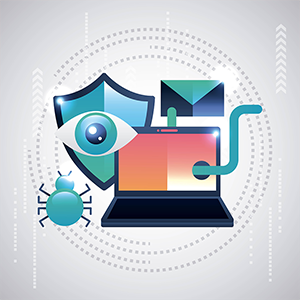 A complete malware scanner should thus be backed by a comprehensive database that logs the latest and persistent malware threats, offering the best protection possible with all the latest updates. Your best defense here is to be proactive about your website’s security because malware and cybercrime continue to evolve. Your website can get one step closer to being secure when you decide to install a malware scanner that is efficient enough to identify, remove and prevent malware from infecting your websites. All these three functions can be efficiently and consistently performed by cWatch Web – a web security tool developed by Comodo. Why is Comodo cWatch the Best Malware Scanner for Your Website? Comodo cWatch Web is a Managed Security Service perfect for websites and web applications. This website security tool has a Web Application Firewall (WAF) provisioned over a Secure Content Delivery Network (CDN). Comodo’s Cyber Security Operation Center (CSOC) has certified security analysts who work round-the-clock. Furthermore, a Security Information and Event Management (SIEM) is also available and it is responsible for leveraging data from more than 85 million endpoints in order to detect and mitigate threats even before they occur. The vulnerability scanning feature provides online merchants, businesses, and other service providers handling credit cards online with an automated and simple way to stay compliant with the Payment Card Industry Data Security Standard (PCI DSS). Another important feature refers to the malware detection scanning, preventive methods and removal services that allow organizations to adopt a proactive approach that will help protect their brand reputation and business from several web-based threats and infections. Malware DetectioncWatch scans websites every day in order to quickly detect and eliminate malware that can infect a website. If these scans detect a threat, email alerts get sent to Comodo’s CSOC along with the impacted organization with complete instructions and next steps on how to rapidly detect and eliminate the identified threat. Detailed reports are also provided via the management console with complete event details and resolution capabilities. Malware RemovalcWatch Web malware removal services via the CSOC will help in eliminating every single trace of the infection and related files, and not just focus on the primary source of the infection. The security analyst will also carry out a complete analysis to detect the root cause and events that led up to a detection. This will help organizations understand what processes, files, and registry keys were touched by the malware so that they will be able to minimize any downtime. Malware PreventioncWatch Web stops threats before they enter an organization’s network. Comodo’s advanced security analytics engine that monitors the increasing number of threats all over the world is combined with real-time data from web traffic in order to provide early warnings and indicators to identify and block delivery techniques, zero-day vulnerabilities, and new threats.